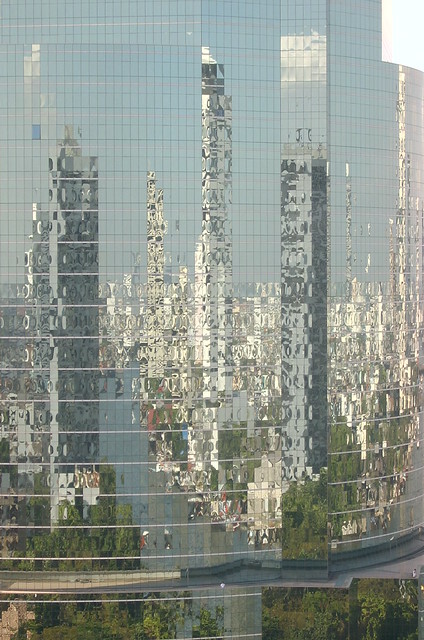 This is of course the reflections in a skyscraper that stands in Bangkok. And what a reflection that is – you can almost see the whole city, and how the Chao Phraya river runs right through it! It is amazing to see how many high-rise buildings are being built here every year. Sure, Bangkok can not compete with Shanghai for that matter – but it better doesn’t try, because the quality of life here is much more pleasant the the frantic development over there. One of the main reasons probably is that people still care a lot about the quality of life – what good for is all the money in the world, what good for are fancy cars and brandname bags, if all of this can’t make you happy? And the art of happiness is something that is more easy to master in Thailand than in many other places which can be found on our little blue and green and grey planet.